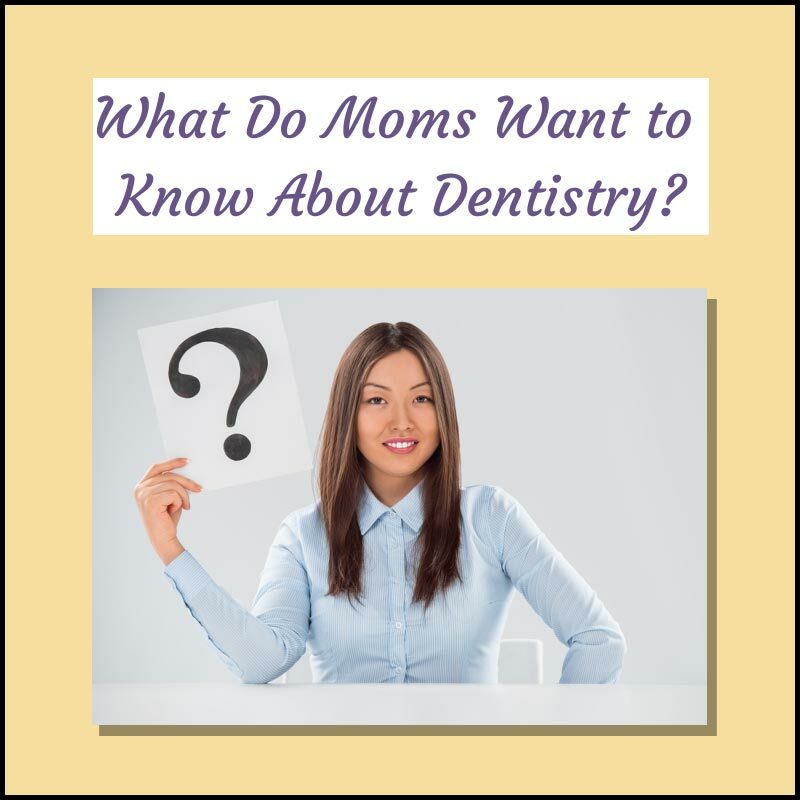 What Do Mom’s Want to Know About Dentistry? Is it a big deal if a child uses an adult toothbrush? Is there a difference between regular toothpaste and the bubblegum flavored kids toothpaste? At what age should you start them flossing? And with no further ado, I introduce to you my new series: Kids’ Tooth Tips. This is one that actually surprised me when I learned in last year – when my own daughter was nearly 7. My wife and I had been letting Elizabeth pretty much do her own brushing for a least a year, mostly focusing on making sure that she was brushing long enough to do a good job. However, in discussions with a pediatric dentist colleague, I learned this was NOT the recommendation! OOOPS! So the thing is, kids really don’t have the manual dexterity to do a thorough job of brushing and flossing their own teeth until they’re about 10 years old. So while I’ll be making recommendations in upcoming posts about products, etc., the first key is that YOU, the PARENTS need to be actively involved with helping your child brush and floss a lot longer than even I thought. Some Keys to Success with This? START YOUNG, STAY CONSISTENT, and BE FIRM. 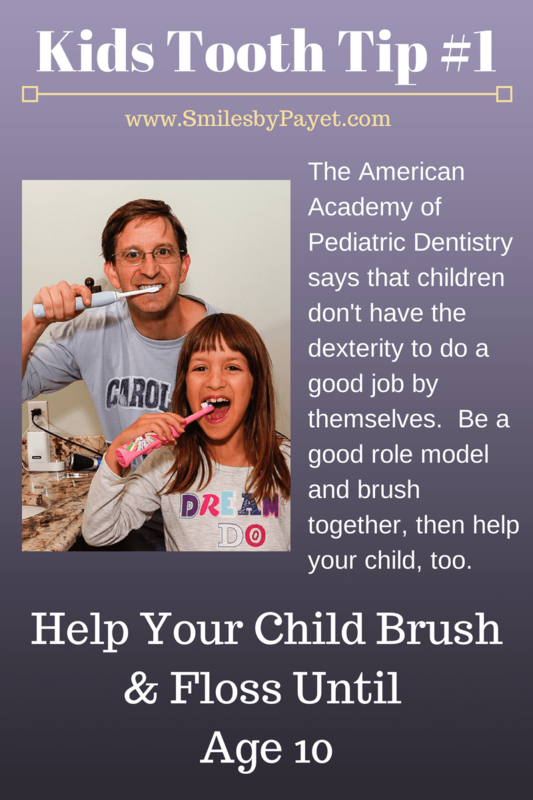 Even as your child starts expressing the desire to do it him/herself (which should definitely be encouraged), it is critical that you take a good look in their mouth, then brush and floss yourself before letting them go. NO EXCUSES. As you can see in the photo above, we actively encourage our daughter to brush her teeth at the same time we do, and in fact, her toothbrush/toothpaste are in our master bathroom. That way, we can personally ensure that she’s taking enough time to do a good job, then go over it with her again. This allows you to be a good role model of good oral habits, plus it makes sure that you’re brushing and flossing enough, too! By the way, if you’re as clueless about modern abbreviations as my other daughter, who’s in college, regularly likes to remind me: FTW means for the win. So there you have it: Kids Tooth Tip #1: Be actively involved in brushing and flossing your child’s teeth until at least the age of 10. This means you should help do the brushing and flossing to ensure they’re doing a good job.